One of the pre-eminent string players of the 20th century, Gregor Piatigorsky was born in Ukraine in 1903, and died in Los Angeles in 1976. 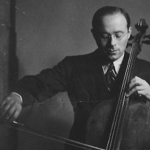 His international solo career lasted over 40 years, and especially during the 1940’s and early 1950’s he was the world’s premier touring cello virtuoso — Casals was in retirement, Feuermann had died, and the three artists who were to succeed Piatigorsky (Starker, Rose, and Rostropovich) were still in their formative stages. His one true peer, Fournier, was limited in his travelling abilities by polio. Thus, Piatigorsky had the limelight almost to himself. He was gregarious, loved to travel and perform anywhere, and he hobnobbed as easily with farmers in small towns as he did with Toscanini, Stravinsky, Rubinstein, and Schoenberg. It was a legendary career. The life of Gregor Piatigorsky is well known—his rise from the impoverished Moscow of the World War I years to solo cellist of the Bolshoi Theatre at 15; His dangerous escape to Poland, where he quickly became solo cellist of the Warsaw Philharmonic and in turn, the Berlin Philharmonic by his 21st birthday. Piatigorsky’s formal training was of limited value as he was basically self-taught. His teachers included Alfred von Glehn (student of Davidov, the father of the Russian School), Brandukov (Cossmann and Fitzenhagen), and briefly with Hugo Becker (Piatti and Grutzmacher) and Julius Klengel—both in Brahms’ circle. From 1929 on he was exclusively a soloist and was enormously successful. He performed with all the great orchestras and conductors of the era and many composers wrote enduring works for him including Stravinsky, Hindemith, Prokofiev, Milhaud, Martinu and Walton. Piatigorsky first taught in Berlin in the 1920s and then at the Curtis Institute in the 1940s. In the 1960s he joined Jascha Heifetz and William Primrose at USC where his master classes became famous.Gregor Piatigorsky’s teaching legacy is palpable today as it has been for generations. 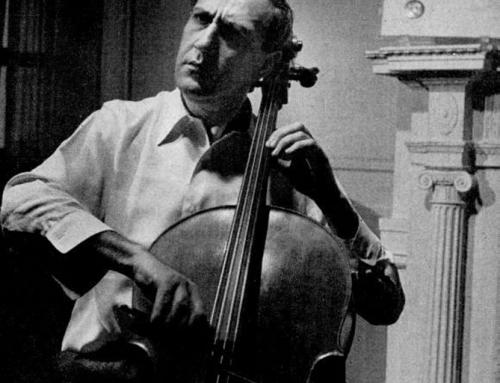 Piatigorsky trained the principal cellists of leading orchestras in Boston, New York, Chicago, Dallas, Houston, San Francisco, Cleveland, Pittsburgh, Minneapolis, Philadelphia, Washington DC, Berlin, London, Vancouver, Toronto and many more. 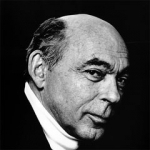 Among soloists and chamber notables are Nathaniel Rosen, Leslie Parnas, Steven Isserlis, Raphael Wallfisch, Jeffrey Solow, Paul Tobias, Mischa Maisky, Denis Brott, Erling Blöndal Bengsston, Stephen Kates, William De Rosa, Gert von Bülow, Paul Katz and Laurence Lesser who owe much to their study with Piatigorsky. His students also occupy important teaching positions in leading conservatories and universities, perpetuating his example for future generations. Piatigorsky was a very tall man, well over six feet, and he handled his Stradivarius like a toy. He would stride briskly onstage through the orchestra, holding the instrument horizontally with one hand, like a lance. He often closed his eyes and turned his handsome face to his right as he played, giving a regal bearing to his performing profile. Due to his size, all the basic playing actions were simple for him; he had a huge sound, and drew full bows with same effort and extension that a smaller player like Casals needed for only half the bow. He could produce the widest spectrum of colors, from any spot on the bow. He delighted in quick changes of articulation, even if just for a few notes. Most dazzling of all was his staccato stroke, which is wonderfully showcased in a Kultur video entitled “Heifetz/Piatigorsky.” There, in an arrangement he made of some Schubert Variations, he displays both a down- and up- bow staccato that is almost beyond belief, along with many other signature effects. His own set of variations on the famous 24th Caprice of Paganini is a minefield of specialized bowing challenges; no one has been able to play it with his ease and flair, though many have tried. His left hand too was a law unto itself; reaching 1-4 octaves in the lower positions was easy and natural for him, and he ambled nimbly and effortlessly around the fingerboard. Trills were, again, “electric,” and he drew incomparable richness from the lower strings. However, not all listeners were taken with his vibrato. Given his size, he apparently had trouble controlling the full-arm motion that most cellists learn, and was more comfortable producing the vibrato from a wrist motion alone. This gave the sound a nasal quality at times. And, since he had to work less hard to produce the vibrato, he did not always attend to it with the care that someone with more ordinary gifts would, and some passages in his recordings grate on listeners brought up on the buttery sounds of Rose or Fournier. In his later years, this technique also began to effect his intonation. On balance, though, his playing displays a combination of stylishness, verve, and humanity that no one has ever matched. 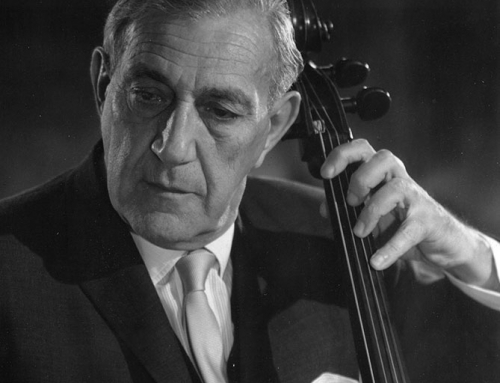 To read more about Piatigorsky’s life, performance career and teaching, turn to Terry King’s recently published biography of Piatigorsky: Gregor Piatigorsky: The Life and Career of the Virtuoso Cellist (McFarland & Co., 2010). It was with the greatest awe that I looked forward to my first meeting with Gregor Piatigorsky. At dinner after one of his celebrated chamber-music concerts in 1961 with Jascha Heifetz, I asked him just one question regarding his recollections of Richard Strauss’ conducting of Don Quixote. His reply took over the rest of the evening. As a matter of fact, it continued for the next 15 years through endless hours of conversations and quite a few of concerts. I cannot forget the first of these performances. It was born out of a talk while we were swimming off Puerto Rico in 1967. We both had been invited by Pablo Casals to perform at his festival. Piatigorsky’s Don Quixote was one of such beauty that during the great F-sharp-major variation I turned for a glimpse of Casals, who always sat in the wings. He was weeping. I think at one point or another all of us were weeping. For my part, I had joined a colleague with whom I breathed musically with such complete oneness that after a performance of a work that took just over 30 minutes, we found ourselves closer than six previous years of discussing that same work had brought us. Communication between two musicians on a spiritual level is a phenomenon that cannot be defined accurately—it is more the unspoken word—the meaning that lies between the notes that draws us closer to one another.